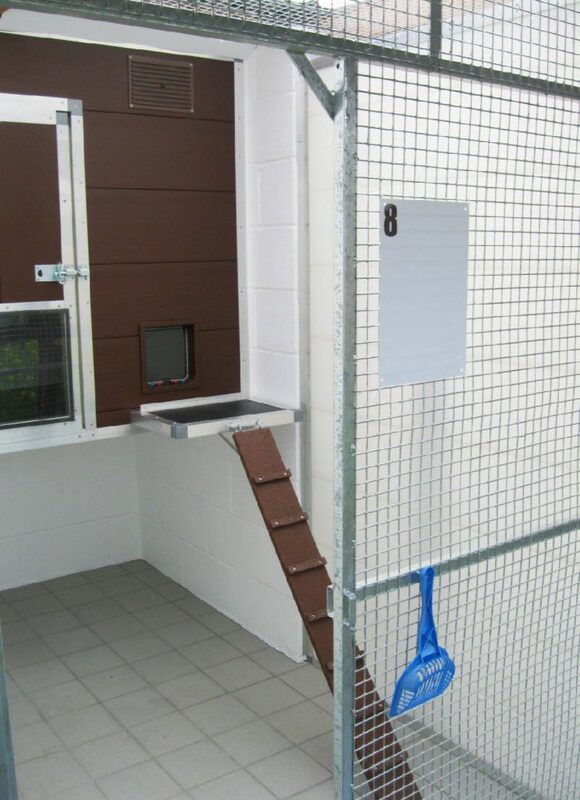 Meadowside is a purpose built cattery with different wings affording a variety of views for the cats. Unlike a lot of pet boarding establishments it is only a cattery with no kennels attached. We feel that, for all the location would be ideal for kennels, the noise of boarding dogs would upset and unsettle a lot of cats staying with us. The original building which has three wings with views into a grassy courtyard garden had a small extension added in the summer of 2016 to give additional, more flexible family accommodation. This extension looks out over a small garden space and open fields. In addition pens in the original wings offer views through “peep hole” windows in other directions. 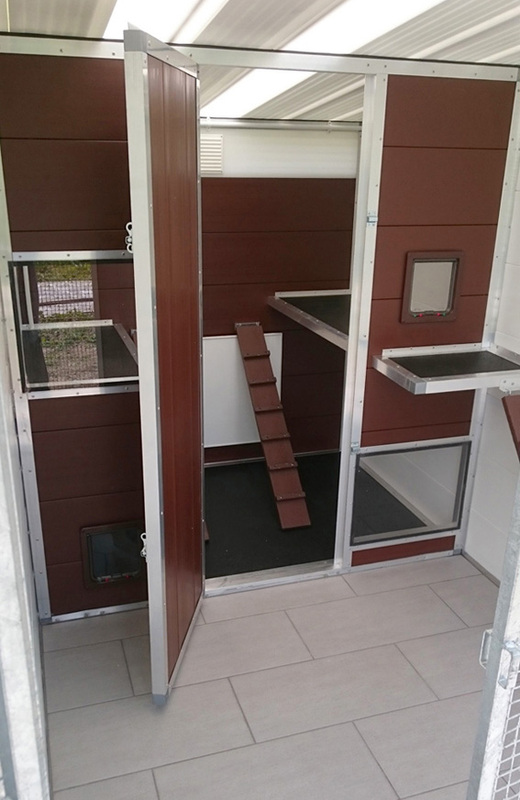 Each pen is set up with a spacious outside exercise area and a cosy, thermostatically controlled heated sleeping area and all the basics your cat needs for a comfortable stay from beds to bowls etc. Standard units, for up to two cats from the same family, have a raised sleeping area with a ladder to access it. There is also two full-length units with an additional cat-flap at ground level for old, infirm or injured cats. In addition there are three larger family units suitable for families of up to four cats, one having the option through unlockable doors to interconnect with an adjoining double unit for families of up to six cats. 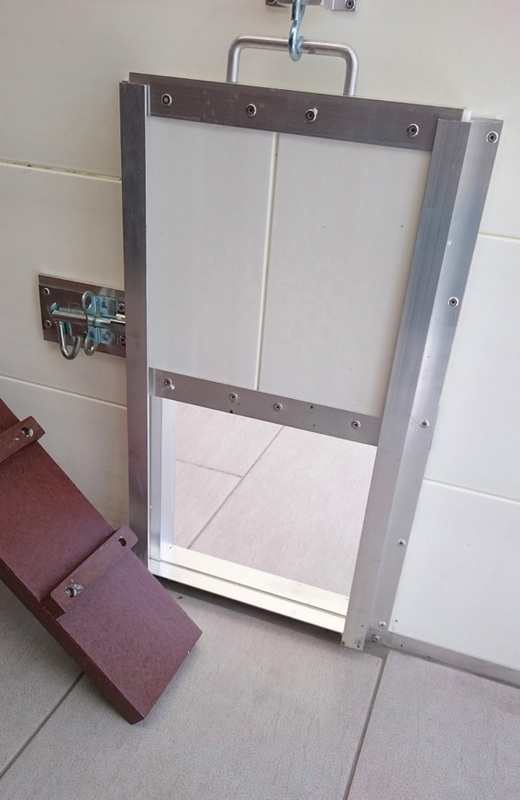 We have a strict cleaning regime throughout the cattery to minimise any risk of cross infection and to provide your cat with clean, comfortable and secure accommodation. You can therefore relax and enjoy your time away knowing your cat is happy and safe in a top quality cattery.